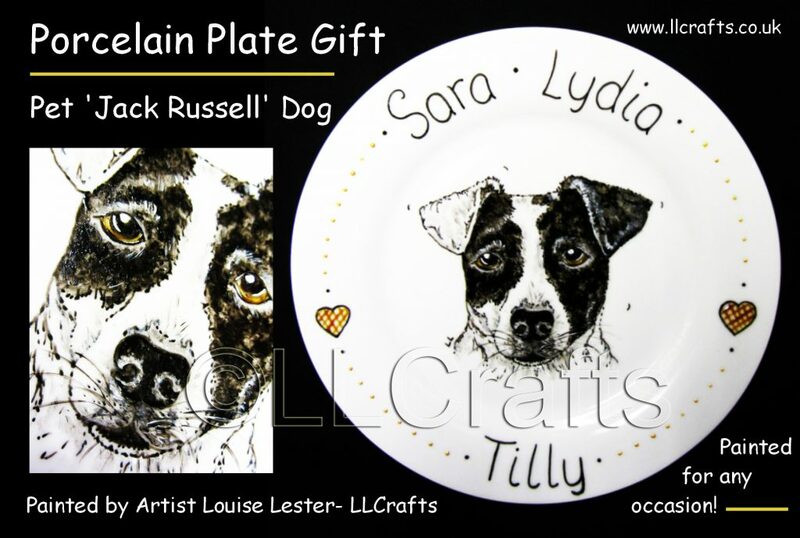 This beautiful wee ‘Jack Russell’ dog portrait was painted onto this porcelain plate, as the perfect surprise gift for a family member of this Galgorm, Ballymena customer in Co.Antrim. 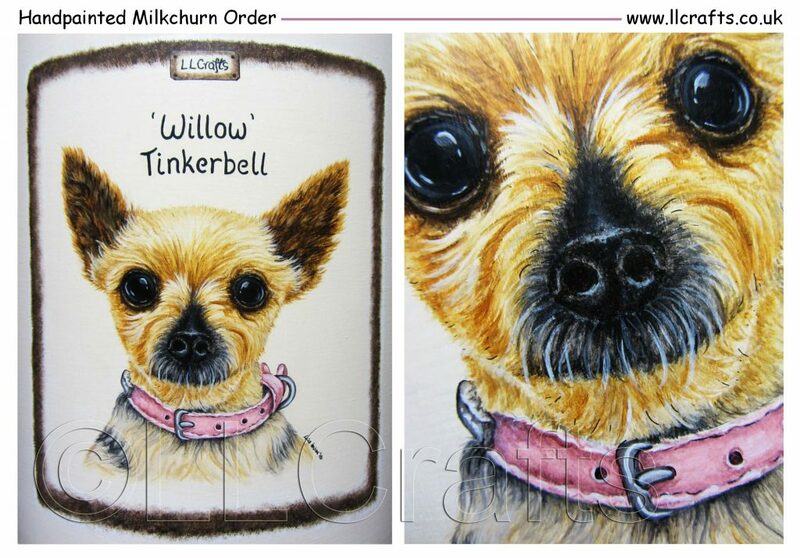 Worked directly from a photograph of the dog, the dog portrait was painted and further personalized with names …….. a very bespoke and thoughtful gift! 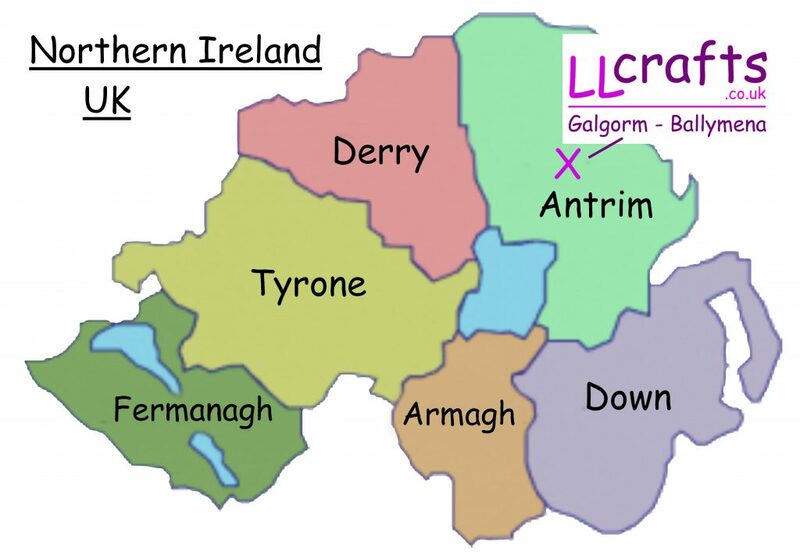 This was such a lovely unique order, for a Northern Ireland customer, in Parkgate, Antrim. She provided photographs of her house, along with photos of her pet dogs and cats ……. to be handpainted onto her milkchurn, along with her two vintage kettles. After restoring the antique kettles, the imagery was added and finished off beautifully. 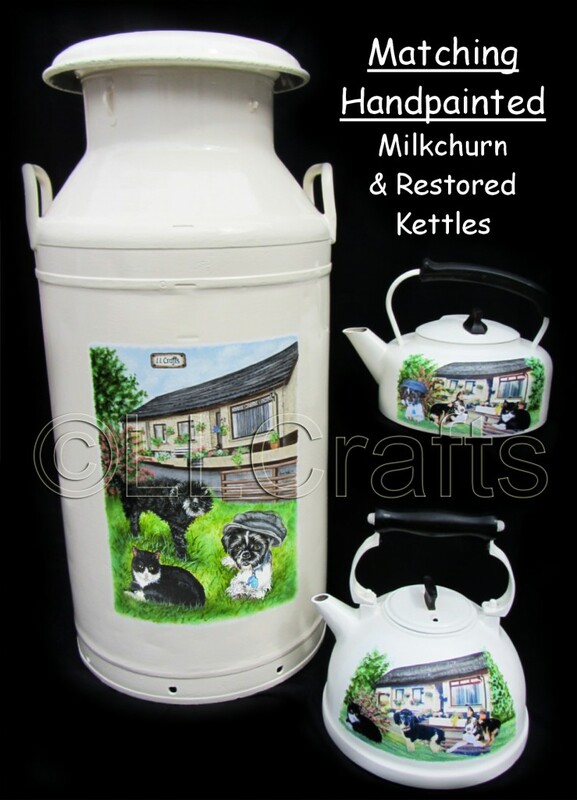 It was quite a challenge arranging each of the imagery compositions, as the milkchurn and even the two kettles were completely different shapes and sizes, but the end results turned out brilliant! So, whether it is your grandfathers old and rusty milkchurn, heavy iron vintage kettles or an old bucket or pail you found in your garden ……. bring along the item to ‘LLCrafts‘ and have it restored and beautifully painted with whatever you desire! Graphite Pencil ‘Pet Portrait’ – Any pet or animal! Have your own ‘Personal Pet Portrait’ produced or give a loved one the perfect gift, using the art medium ‘Graphite Pencil’. 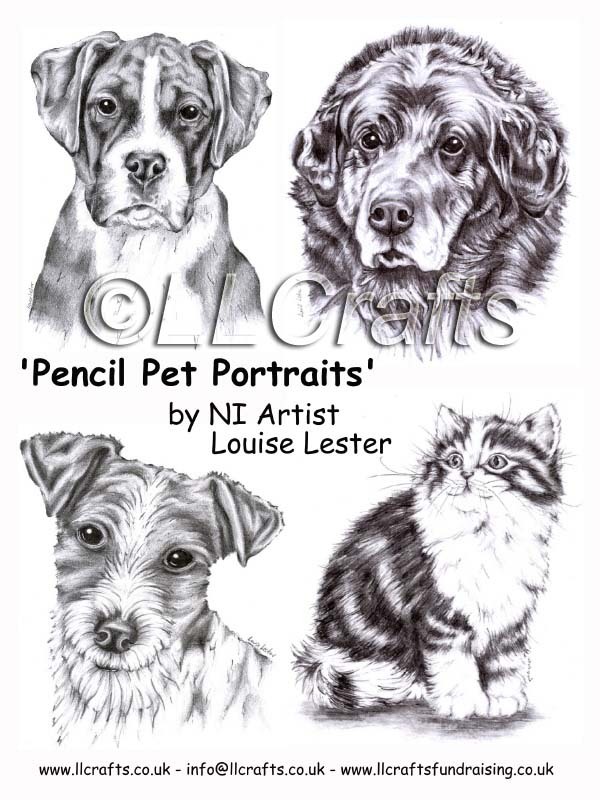 Ballymena artist Louise Lester (BA Hons) illustrates directly from a photograph of your beloved pet and any animal can be sketched – dog, cat, rabbit, horse, hamster, and any other beloved member of the family! The ‘Pet Portraits’ can be sketched A4 Size- £90 (1pets head) or A3 Size- £170 (1pets head). For multiple pets per page, pleae contact me. The artwork is produced onto good quality 160grm cartridge paper, allowing the customer to easily mount or frame their personal portrait gift. 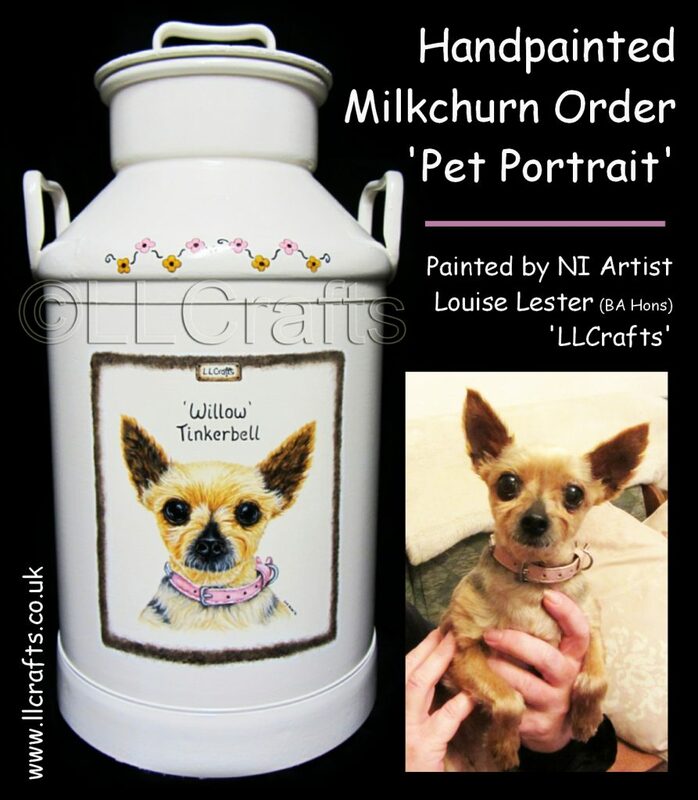 Give me a wee call for a chat about an order and all i need are some good quality photographs of the pet! 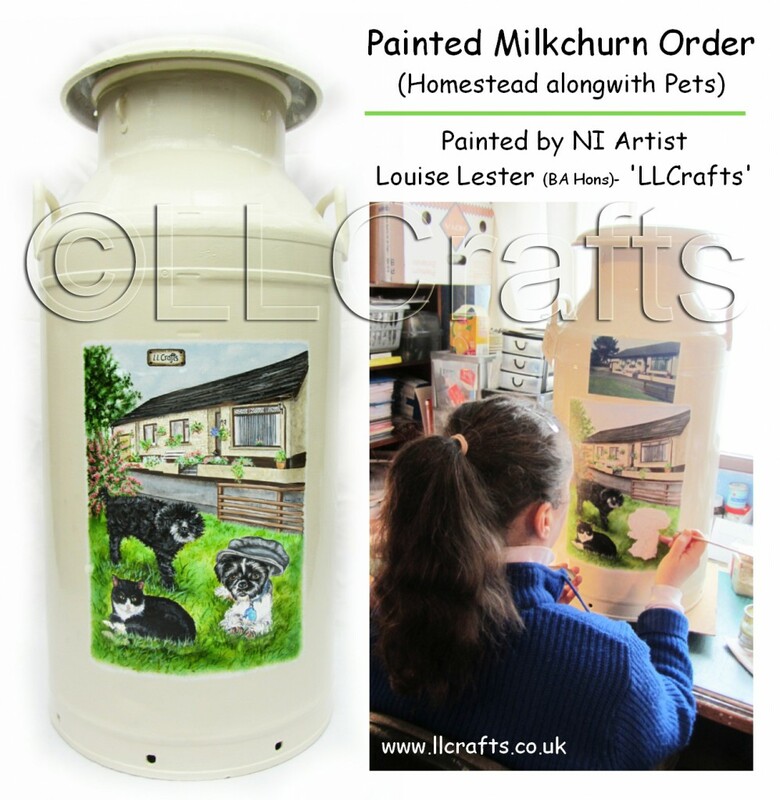 LLCrafts is a small cottage industry, located in the lovely village of Galgorm, Ballymena in Co.Antrim, NI, UK …… owned and run by myself Irish Artist & Art Tutor Louise Lester (BA Hons). 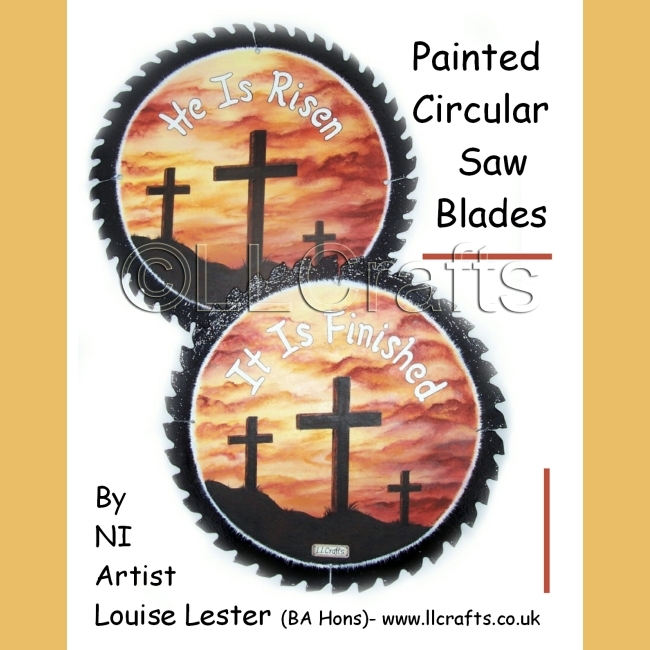 I provide unique ‘Hand Painted Crafts & Gifts’ for all occasions, transforming and recycling customer’s old items with beautiful painted designs …… aswell as creating personal and bespoke painted gifts for that special event!